We apologies, this event has been cancelled until further notice. 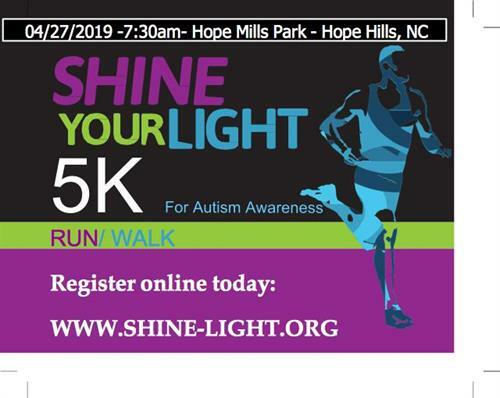 If those who have registered for this event would like a refund or would like to receive the race package please contact Shine Light, Inc at 910-323-1335 for further details. Saturday, April 27, 2019 from 7:30am- 10:00am.